I have been wanting to use more of my untrieds this year and I have a couple hundred Sinful Colors to push through so I needed to get started. As I was going through the rainbow I happened on this untried polish. 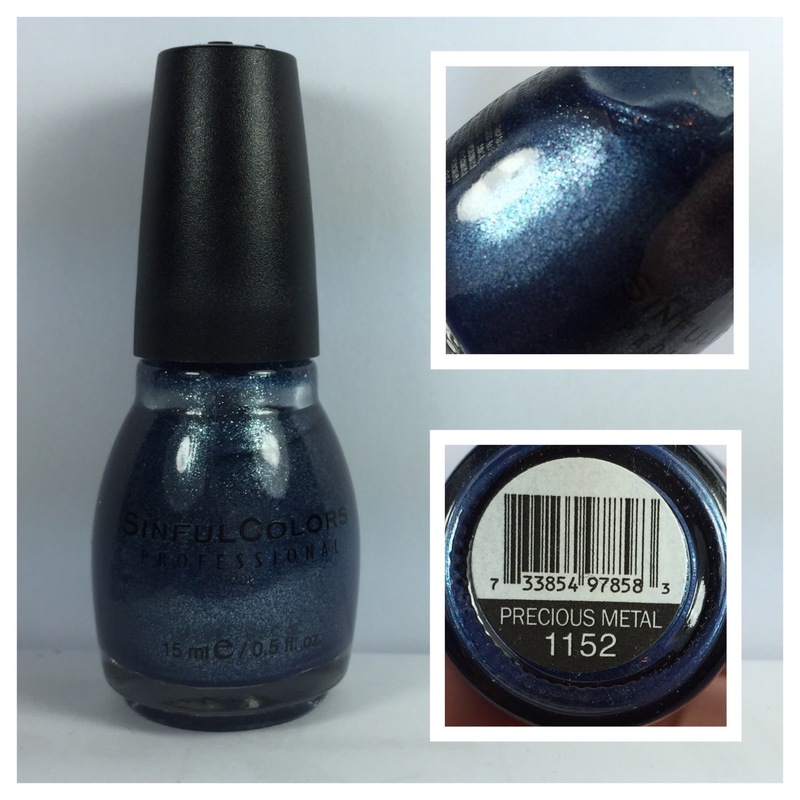 Today’s polish is called Precious Metal and it does indeed give a metallic shimmer finish. It’s beautiful but needed a surprising 3 coats to be opaque. I topped it with Glisten & Glow HK Girl Top Coat. Side Note: One of the girls in my FB nail group suggested wearing a navy cream under this polish to make it opaque in less coats.